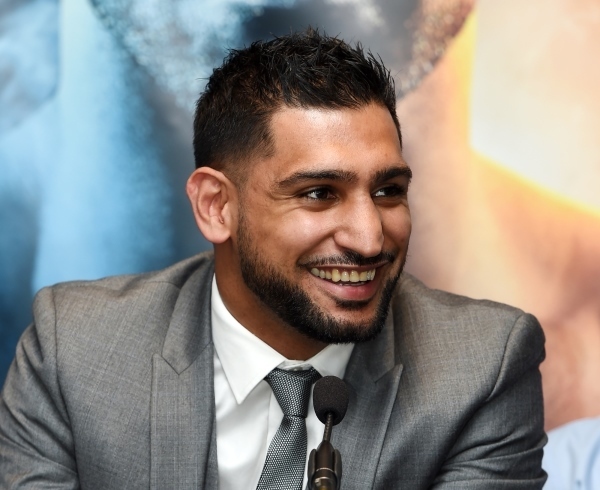 Should Amir Khan pulls off the massive upset on April 20th, when he faces WBO welterweight champion Terence Crawford at Madison Square Garden in New York City, he will be looking for the biggest fights possible – and domestic rival Kell Brook is not one of them. Khan believes a win over Crawford, who is regarded as one of the top pound-for-pound boxers in the world, would open up the door fight huge bouts against Manny Pacquiao, Errol Spence, Keith Thurman, and others. At the same time, Khan admits a loss against Crawford would leave him in a position to face Brook – if the money is right. Khan is a huge underdog in the bout, with Crawford – a three division champion – tabbed by some oddsmakers as a 10-1 favorite. “If I beat Crawford, and I firmly believe I can, that probably kills the Brook fight. If Crawford does beat me the fight with Kell could still happen. No matter what he says I’ve never been against it. I know I’d beat him easily. But the timing has to be right for me. Then I would take it if it made financial sense. We are prize-fighters and I will not be ripped off. There’s no point to it unless I get exactly what I’m worth,” Khan told Daily Mail. Brook pushed hard last year to finalize a deal with Khan. According to Khan, there wasn’t much of a difference, financially, between the monetary offers to face Crawford and Brook. But he felt a fight against Crawford would provide him with a much larger upside in victory.